I like me some in-depth reviews! How does yours compare to Paige’s? “Pemberton Academy is not just a school, it’s a gathering place for the children of the future that are afflicted with Temporal Displacement and Telepathy; in short, time travelers and mind readers who have been diagnosed with this “disease.” The Academy is not all as it seems after an explosion nearly takes one of its classmates, but not before Carter Gabel rescues her by using an unknown symptom related to his described illness. An unsanctioned group called the Program begins taking notice as the two classmates exhibit stronger abilities when they are together. Carter’s sense of reality begins to unwind as he learns more about his estranged father’s involvement with it all. 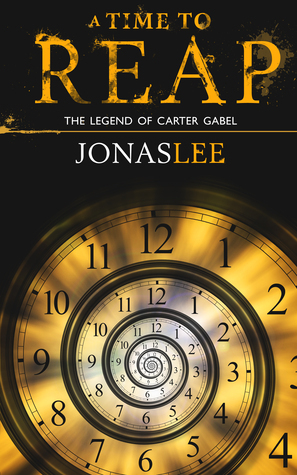 Previous postFirst Author Interview: Jonas Lee – A Time to Reap!